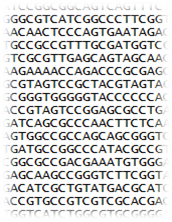 PSDDF is a computational protocol for identifying DNA sequences unique to pathogens and absent in the host and non-pathogenic strains of the microbe followed by identification of small drug candidates via virtual screening against a million compound library for targeting these unique sequences. Candidate molecules can be further filtered by actually docking them in the minor groove of DNA followed by the binding free energy estimations of the final structure. Web tool developed by Manpreet Singh.